WASHINGTON — U.S. Park Police have confiscated a drone that crash-landed on the Ellipse, near the White House. At 1:20 a.m. Park Police and the U.S. Secret Service responded to a report that a small drone was being operated from the grounds of the Washington Monument early Friday. The drone crossed Constitution Avenue and crashed on the Ellipse, the grassy area between the Monument and the White House grounds. Park Police issued a citation to Howard Solomon III, of Washington, and confiscated the F182 6 Axis Quadcopter. The Secret Service located the quadcopter just inside the Ellipse entrance at 16th St. and Constitution Ave., and turned it over to Park Police. 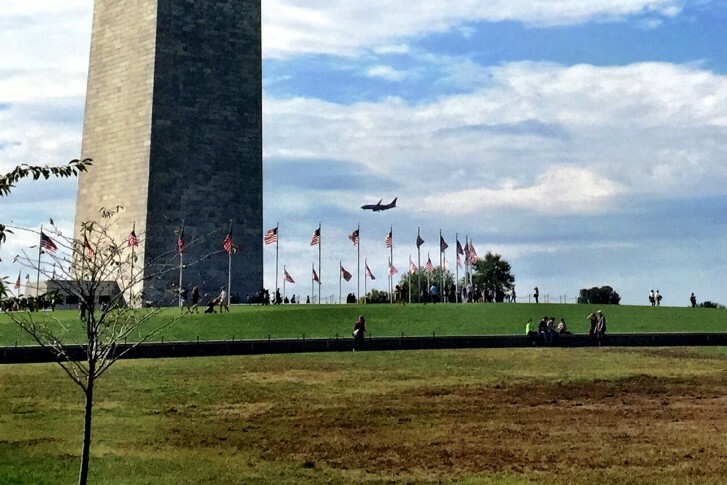 Airspace in downtown Washington is the most restricted in the country for passenger aircraft and unmanned vehicles, including drones, according to the Federal Aviation Administration. It is illegal to operate a drone within the Beltway without special permission. This is the ninth incident involving illegal operation of an unmanned aircraft system in a Greater Washington area national park in 2015, and the 26th since 2013, according to police.